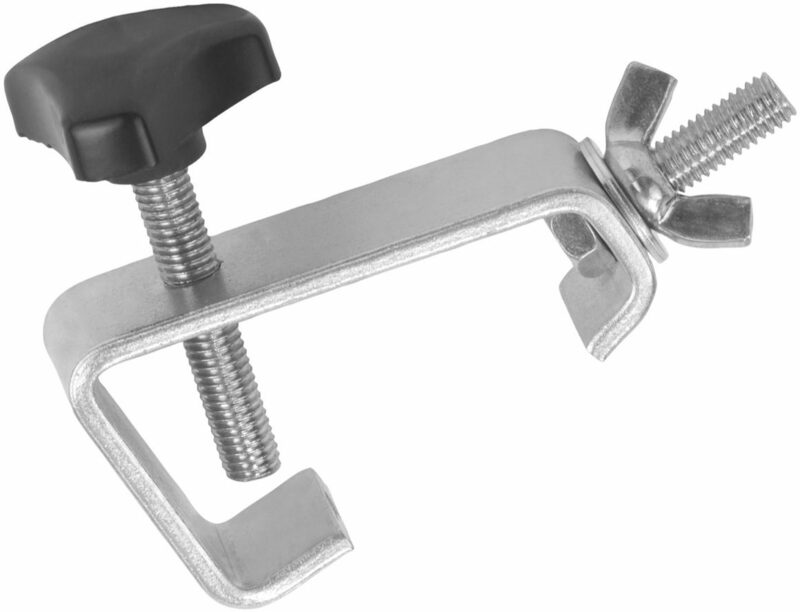 The American DJ DuraClamp Lighting Clamp for Dura Truss System is designed to secure lighting fixtures under 20 lbs. to Dura Truss systems such as the American DJ Light Bridge truss stand. Plain and simple, the Dura Clamp works like a charm and puts your mind at ease knowing your fixtures are safe! - Heavy duty clamp for lighting fixtures under 20 lbs.